Over 80 percent of the soils in your carpet are tracked in your home from dirty shoes. The whole purpose of cleaning your carpet and rugs is to reach maximum soil removal, and maintain these results. Carpet cleaning can be somewhat expensive at times depending on the soil levels of your fabrics. There is nothing worse than spending your hard earned money on a cleaning service that does not last. Maintaining you’re carpet and rug cleaning results has a lot to do with how you care for your home. 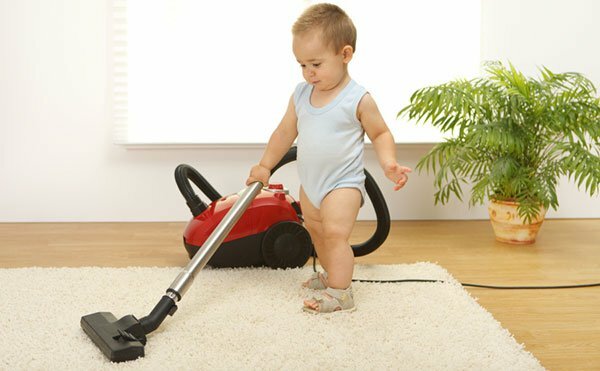 Professional carpet cleaning is only the first step for making your cleaning results last. If you just had your carpets cleaned, and you immediately let the dogs run around, or put the same shoes on that you were wearing all day, the chances of rapid re-soiling become rather high. Spot cleaning with some sort of soap or detergent 3 days after the cleaning is not recommended either. Reaching maximum soil removal is not always easy for professional carpet cleaners either. Because there are so many different types of soils that exist in carpet, not taking the proper steps in removing these soils can leave you, the consumer cut short. Oils and residues (soap/sugar) are the main soils in carpet that contribute to rapid re-soiling. If these soils are not properly removed you may start to see spots and traffic patterns reappear suddenly. To remove these residues, the proper cleaning method must be used in order to reach maximum results. Sometimes just rinsing the carpet is not enough. Degreasers and residue polymers may have to be sprayed and removed by your carpet cleaning professional so you do not experience rapid re-soiling. Most of the time a carpet cleaning professional will know immediately just by looking at the carpet if there is a high accumulation of residue in the fabric. He will then make the proper recommendation for cleaning methods and pre-treatments for reaching maximum cleaning results. Here are a few things you can do yourself to ensure long lasting results after your professional carpet cleaning service is completed.